The Strong Cities Strong Communities (SC2) Challenge is a federally funded program to generate new and innovative economic development ideas for United States cities through a worldwide competition. First announced in July 2011, this initiative seeks to strengthen neighborhoods, towns, cities, and regions around the country by enhancing the capacity of local governments to develop and execute their economic vision and strategies, providing necessary technical assistance and access to federal agency expertise, and creating new public and private sector partnerships. The city of Las Vegas and the U.S. Department of Commerce’s Economic Development Administration (EDA) are hosting the Strong Cities, Strong Communities (SC2) Challenge from now through May 2015. 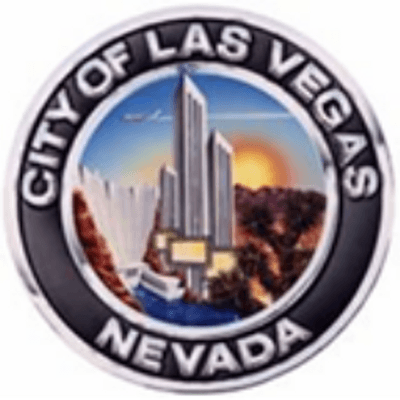 Tammy Christensen said the city of Las Vegas is administering the competition locally and an esteemed panel of judges, including many leaders from the city’s business community, will select the winning ideas. 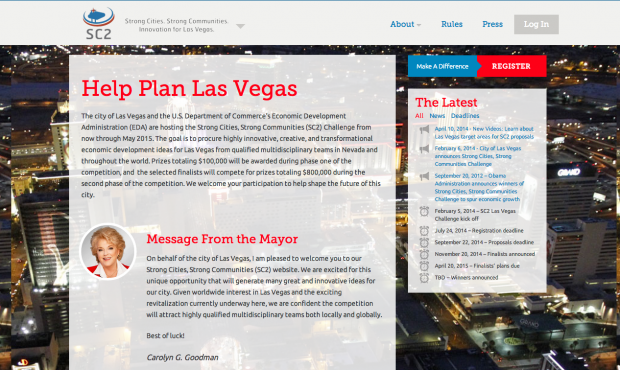 The goal is to procure highly innovative, creative, and transformational economic development ideas for Las Vegas from qualified multidisciplinary teams in Nevada and throughout the world. Prizes totaling $100,000 will be awarded during phase one of the competition, and the selected finalists will compete for prizes totaling $800,000 during the second phase of the competition. Phase one winners will receive $60,000 for first place; $30,000 for second place; and $10,000 for third place. “In the second round, the grand prize winner will receive $500,000 and the judges may award other prizes totaling up to $300,000: $100,000 for second place; $75,000 for third place; $50,000 each for fourth and fifth place; and $25,000 for sixth place. To win prizes in the second round, teams must submit both a detailed and comprehensive economic development plan, building off their earlier proposal, along with letters of endorsement from local leaders to substantiate claims and validate community support of their technical approach,” she continued. In all cases, Tammy Christensen said prize money will be awarded with no strings attached. “The City will own the winning plans with plans to implement one or more of them as funding becomes available. This may be done in collaboration with the team who created the plan,” she said. Participants must register online by July 24, 2014, and phase one proposals are due September 22, 2014. Phase one winners will be announced in November, and they, along with up to seven other finalists, may advance to the next phase. During phase two, teams will build out their proposals into comprehensive plans which will be due April 20, 2015. Winners will be announced in May 2015.